Dr. Nelson Daly received undergraduate degrees from both Louisiana State University and the University of New Orleans. 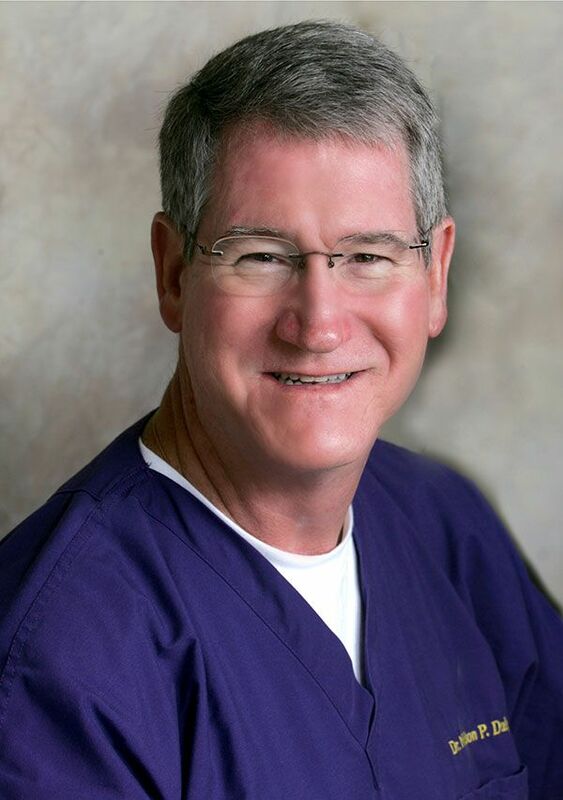 He received his Doctorate in Dental Surgery from LSUSD in 1993 and completed a General Practice Residency at the Veteran’s Administration Hospital in New Orleans LA. in 1994. In private practice in Baton Rouge Louisiana since completing his residency, he married Dr. Sally BowieDaly, also a dentist and graduate of LSUSD. Together they also own Fleur de Lis Mobile Dentistry, which travels to nursing homes throughout the state caring for their patients. In 2008 Dr. Nelson Daly completed the Medical College of Georgia and AAID Implant Maxi Course, since 2009 he has been a member of the Advanced Dental Implant Studies under Dr. Edward Mills, at the Atlanta Institute for Advanced Education. He has received an Associate Fellow from the Academy of Implant Dentistry, a Fellow from the Academy of General Dentisry, as well as a Fellow from the International Congress of Oral Implantologists, a Fellow from the American College of Dentists, and a Fellow from the Academy of Dentistry International. He is active in organized dentistry, and served as Founder, Board Member and President of the Baton Rouge Community Clinic, President and Board Member of the Greater Baton Rouge Dental Assoc, as Board Member and Chairman of Membership and Retention for the Louisiana State Dental Assoc, as Board Member , delegate and President of the Louisiana State Dental Association. On a national level, he served as the twelfth district representative for the ADA Committee for the New Dentist, and as ADA delegate for the twelfth district. He has been a member of Fortune Practice Management since 1997, and a member of Fortune Management Platinum Circle.